I’ve grown to dislike Twitter. My recent experiment on Twitter even made me dislike me for a little while. I’d like to say it was the hack that did it to me. But it wasn’t. 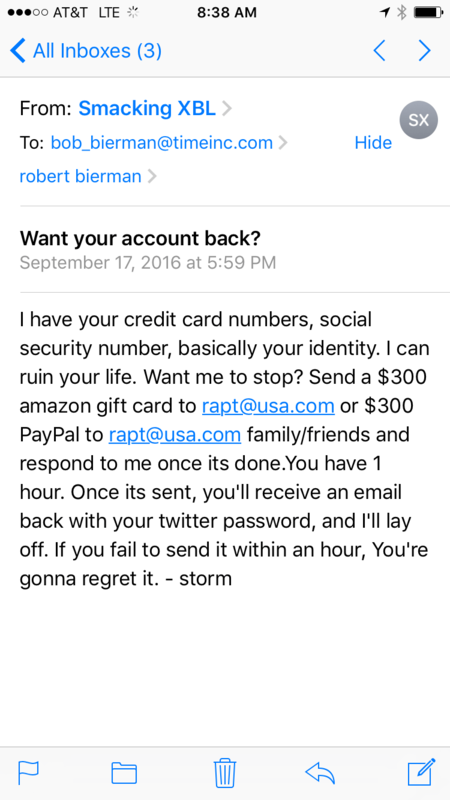 Granted, I did not enjoy getting an email from “Smacking XBL”, discovering my Twitter account had been hacked, the email deleted, cell phone deleted and password changed. Nor did I enjoy the four days of getting it sorted out while wondering what information the hacker had harvested from the dark recesses of my account. But that wasn’t what caused me to dislike Twitter and me. I discover a lot of news on Twitter. It’s a great tool for that. Over the past year or so, however it’s gotten quite tedious. Maybe it’s the people I follow, but increasingly Twitter has become a journalist clique, back-patting each other, swapping inside jokes and treating each other like the cool kids while everyone else watches. Don’t get me wrong, I still discover a lot of news on Twitter. The tedious clique of cool kids (in their own minds), however wasn’t what did it either. It just made Twitter more boring. Oddly, what did it was one of my Tweets that went sort of mini-viral. I clicked “reply” on a journalist friend’s Tweet and made a comment about the potential consequences of someone’s Twitter habits. I put my phone down and got back to what I was doing. A little later, my phone screen started flickering in a distracting way. Thinking something was wrong, I took a look — it was Twitter notifications. They kept going and going all day. I turned notifications off. The likes, replies and retweets continued for days. Currently the Tweet stands at 1,887 likes and 297 retweets. It was a little exciting. Occasionally, I get 30, 40, 50 interactions on a Tweet, but this was off the charts based on my history. I decided I needed to know why this happened. So I experimented. 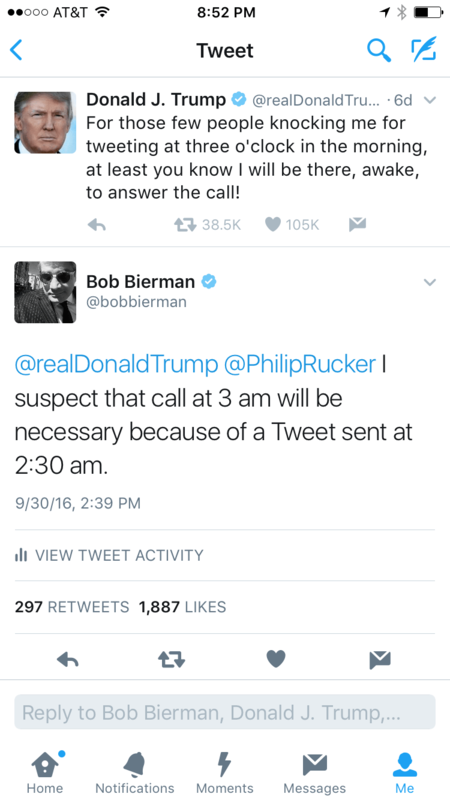 Was it Tweeting at a loudmouthed Presidential candidate? Nope. Tried a few of those. Nothing happened. Was it replying to that particular journo friend? Nope. Tried it with some other friends. Nope. Picked a few random celebs and tried it. Nope. Posted increasingly obnoxious Tweets. Nope. Posted snarky Tweets. Nope. Posted interesting Tweets. No. I did not figure out the secret. What DID happen? I looked at my Twitter feed and thought, “Ugh. What a waste of time.” There were snarky, stupid Tweets. Some were a little bit funny. Some were attempts to make a serious comment. They didn’t add up to anything useful. Didn’t contribute to the public dialogue. Didn’t inform anyone. Frankly, I didn’t care about the things on which I was commenting. Between us kids, I don’t feel a particular passion either way about the candidate whose handle was included in my original reply. I didn’t like myself for caring about any of it. Or for wasting time and thought on all of that. Even though it was a brief experiment. That was my reaction after posting a Tweet that accomplished what people strive for on Twitter. So help me out here. Why do we Tweet? If I Vote, Here’s How I’m Voting. I’m not here to defend Twitter; if it went away I wouldn’t really mourn, though there’s nothing quite like watching America watch something together on television via Twitter timeline. It has made the Oscars bearable (though I still question why I would devote 4 hours of my life to watching people congratulate themselves) and it’s unbeatable during the Super Bowl ad rush and these godawful presidential debates. In a world where we all scatter to our own screens to binge shows on Netflix, it’s nice to have the occasional joint viewing experience, now complete with brilliant snarky commentary crowdsourced via Twitter. 1. It serves as a place where I can throw the hundred “oh that’s a good read! I should point this out to people!” articles that pass through my information flow each week. I don’t really care who is or isn’t watching; if I can take 30 seconds to hashtag the article appropriately, it remains a resource for anyone else doing a search on that topic (at least for the next few hours/days). And that, in turn, introduces me to other people on twitter who are reading and posting similar content. 2. It connects me with educators and thinkers in my fields of interest. I primarily focus on higher education, teaching and learning, creativity and design thinking, and consumer tech. Education is the focus of my life, and Twitter has connected educators like never before. Via hashtags like #edchat and #edreform and #edtech, those of us working on particular questions can stay informed, find comrades of mind, and toss out ideas for discussion. I don’t like trying to read or hold discussions on Twitter, but I’ve found several incredible education bloggers and writers thanks to Twitter hashtags in that field. 3. Conference commentary. Who ever looks at their notes once they come home from a conference? I always have good intentions, and then suffer a twang of guilt when I toss out that pretty conference booklet from Nashville in 2003. But I haven’t looked at it since, and few conference presentations are good enough to merit space on my permanent bookshelf. Excellent presenters make it onto my blogroll or bookshelf; the rest are nice encounters. So live-tweeting thoughts and quotes from a conference lets me feel a sense of camaraderie with the participants in the moment, and theoretically record valuable thoughts for “later” (which will never come, but at least I don’t feel guilty or anxious about it). 4. Real-time news. Nothing beats Twitter for news that’s so fresh, the journalists haven’t even gotten a chance to open a Word document and start typing. This is primarily valuable in moments of tragedy – the Paris bombing last fall, for example, or hurricane coverage. Or the Iran election a few years ago. But it’s unbeatable. You have to recognize that every eyewitness account is biased, but taken together this sea of voices from within an event, in real time, provides a view we’ve never had before. Ironically, it’s more nuanced than having a TV camera on the scene because it represents a plurality of viewpoints. Twitter has deep problems. It’s difficult to find the content you’re looking for without more effort than the casual user is willing to invest, but without that investment Twitter can be a firehose of mediocrity, vacuous celebrity ego, and horrific racism and misogyny. It’s stunning how broken it can be — yet still provide a “public square” that exists nowhere else in our lives right now.